oh those gooseberry bowls! i think that is such a beautiful pattern. If I had more room in my house I probably wouldn't be able to resist it. I've got no room & I couldn't resist! You know I need those 441s for my collection & my birthday is coming up! 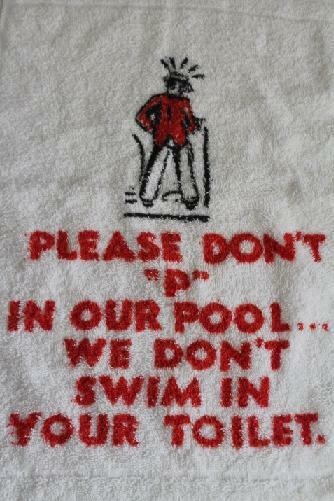 Love all your finds, especially the "p" towel. Hope the pup is doing well. went to an estate sale today & didn't find much & my thrift stores are terrible. I'm always amazed by the goodies & amounts of Pyrex you find. Toronto is a thrift haven I guess! LOL OMG Only you would find those amazing Barbie and "P" towels! I laughed out loud at the pee one! This is funny...I'm working on my Market Monday post, and I just listed the same little orange thingy from Yugoslavia (except mine is red). What are we calling these? I don't know!!! But they're cute! The Barbie towel is hilarious. She's so rad. You always find something good! You sure were in the right place at the right time, the Gooseberry bowls must have been waiting for you! Awesome haul, as always. I swear, you have a knack for finding cool stuff from my childhood. Barbie and TMNT. Cool beans! Super finds....I especially love the Gooseberry set and the ballerinas!! I am very glad that you are finding great items! Hope your puppy is doing well. Oh; those Gooseberries: so beautiful. I have yet to come across non-damaged Gooseberries in the wild! So this is what happens when you don't spend a lot of time thrifting? Holy crap you found a ton of Pyrex & good patterns at that! I'm off to the last flea market of the season this morning. Hopefully I have some Pyrex luck! & the Fire King & Gooseberry & Scroll are from a couple weeks ago. I'm backed up with thrifted items! It's wild. Have fun at the flea (weird time to stop having them...). Guess it's a spring flea. Great finds! Love the Pyrex. Man, I can't believe how much amazing Pyrex you always come across! I usually find them few and far between and rarely in a set or in the best patterns. Way to go! Thanks! I found a GREAT piece this week... I can't wait to showcase it on this weeks Thriftasaurus!!!!!!!!!!! 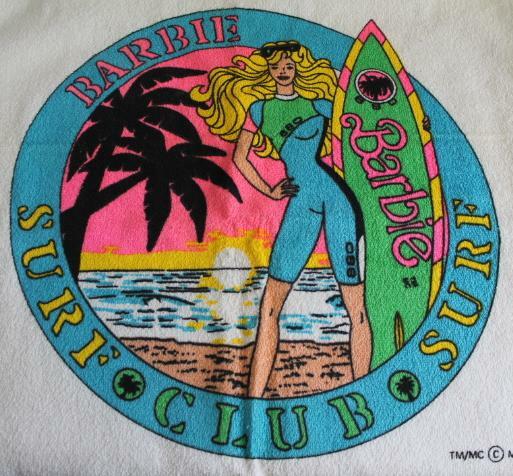 You're always finding the best pop culture goodness, the ninja turtles and barbie towel really bring me back! I'm amazed at your Pyrex scores. I rarely find anything in good condition and then when I do it's got a crazy price tag. That Gooseberry set is great. Those Fire King mugs are fab...definately the strong black coffee type...no frou frou trim lattes served in those mugs. Things taste better in Fire King. Great finds. Love finding Fire King mugs. My fav find this week was a new to me Relpo head vase, love adding flowers for her hat. Thanks for hosting. I can't even imagine the throw down that would have occurred had she not sold you those bowls! 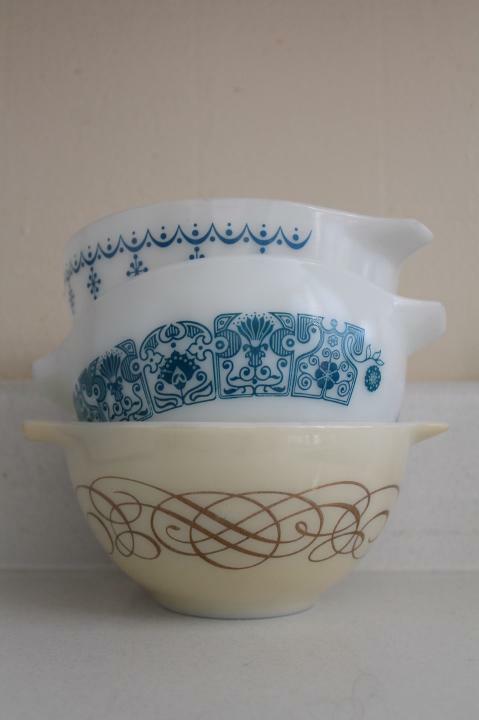 Some great finds I'm jealous of the gooseberry Pyrex bowls.